Home What Is? 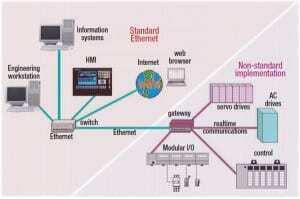 What is Ethernet? If you want to connect to the web or to a home network, then you have a number of wireless options available these days that can make things highly convenient for mobile computing. But there may still be a place for Ethernet in your plans depending on the nature of your network and what you’re going to be using it for. So let’s take a look at what Ethernet is, why it is used and what types are available. Essentially, Ethernet is a protocol that lets you connect two computers together to form a ‘local area network’ – also known as a LAN. It can also be used though to connect a computer to the internet by plugging into a modem or a phone line. 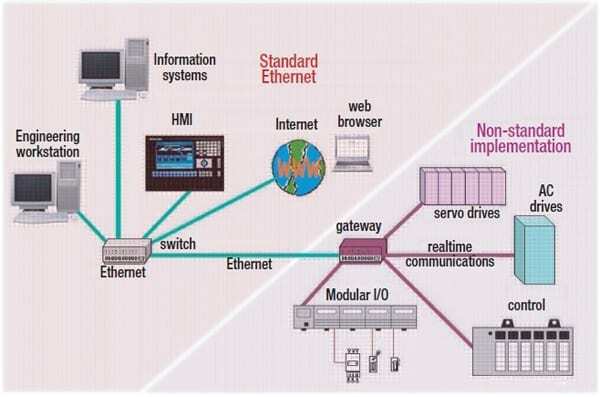 There are still a number of situations as well where an Ethernet connection will be necessary. For instance, if you store files on the web they will in fact be stored by a hosting company that will use multiple different ‘servers’ to store files and dish them up to the web on demand. These of course need to use Ethernet to communicate at the highest speeds possible! Likewise, offices that want the very best speeds and most reliable networks should probably also still use wired connections. There are a number of different types of Ethernet cable and it can sometimes be tricky getting a straight answer about which is best and which is best for your particular needs. The three types of cable most commonly used are Cat 5e, Cat 6 and Cat 6A. And if you’re the technophobe type you’re probably already thinking that sounds off-puttingly complicated. All three of these cables though are quite similar. They all use an RJ-45 end, which is the type of plug that goes into an Ethernet jack and that looks like the kind of jack you plug into a phone line. One thing to consider when choosing between these for your own needs is the difference in cost. A Cat 6 connector costs on average around 30% more than 5e and a Cat 6A is another 30% on top of that. So you might think that this would mean that 6A would be the best – but not necessarily. Cat 5e has been around by far the longest. In fact, it came out over 15 years ago and when it did, it promised that one day we would enjoy 1 gigabit network speeds. Of course hardware has sped up since then which means Gigabit networking is a reality for many. Cat 5e cables are usually 24 gauge twisted pair wires offering Gigabit network speeds up to 328ft – enough for most offices. Cat 6 came out a few years later though and can support up to a 10 Gigabit network. Now, if you need those kinds of speeds and you have the hardware to support them, then you’ll likely want to plug for the extra money. Then again though, Cat 6 cables can only run up to 164 foot – so this might not be an option for you. And as you get longer, the speed slows back down to 1 Gigabit. Part of the reason for this difference in speed is a tighter twist in the cables which allows two-way communication (traditionally, computers on a network must ‘take it in turns’ to send and receive messages). Finally, Cat 6A cables are thicker than Cat 6 and this is due to extra thick plastic and even tighter winding. This creates more copper per inch and allows 10 Gigabit per second networking up to 328 foot. It can also reduce cross talk. While Cat 5E is the most affordable option for most people, Cat 6A is the fastest and also offers the most ‘future proofing’ so will be worth considering for some businesses.